Brazilian welterweight Paulo Thiago says in an interview with Tatame.com, that he will be fighting, South Korean fighter Dong ‘Stun Gun’ Hyun Kim, at the UFC on FUEL TV 6 show in Asia. “(Kim’s) a tough guy with many skills. He’s tall, is great at Judo, has good takedowns. He’s a complete fighter. He lost to Demian because for bad luck. Now I have this confrontation ahead of me. I’ve watched his tapes and I always thought he was dangerous. Now I’ll watch it carefully and looking for his flaws and a way to win this fight”. “I haven’t analyzed him, I just heard I’m fighting him. It’s a guy who’s hard to fight against. He’s a tall guy for this division, he has a good reach and goes for it, he’s good at striking and also on the floor. I’ll have to take a better look at him, see what he does wrong and find a way that lead me to the win”. Thiago adds that he’s been trying to get a spot at the upcoming UFC 153 card in Brazil, but failed to do so. Thiago has earned a series of loss in his last UFC bouts. He suffered a 42-second knockout loss at the hands of Siyar Bahadurzada at UFC Sweden,last April. His last win was at last year’s UFC 134, where he earned a decision victory over David Mitchell. Kim like Thiago, comess off a loss in his last bout. 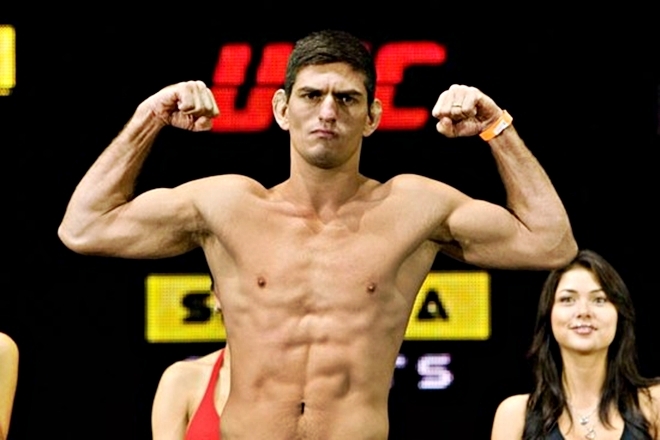 He suffered a 47-TKO defeat from another Brazilian, Demian Maia, at UFC 148. He currently holds a 1-2 standing. He won against Sean Pierson at UFC 141 via a decision and endured a knockout loss to Carlos Condit at UFC 132. UFC on FUEL TV 6 will be held at the Cotai Arena in Cotai, Macau on November 10, 2012.